It is quite common for us to forget about our very old phone when we have a new one in the hand. It is after a while that we recognize that there is plenty of data that requires shifting from the old equipment to the new. Or you should send back your Samsung Galaxy Note7 for its battery problems, you should backup phone data or transfer important contacts to another phone. The task becomes tedious when both the devices are running different operating systems. It is annoying and fearing to miss even a single contact from the list that we possess. It would be great if we have an app that would allow easy transfer of data and contacts without losing even a single bit of the record. If you are searching for applications that provide you the flexibility to transferring contacts, then you are at the right place. We will discuss the top five Samsung contact transfer in detail. With the help of the application, you can transfer the contacts effortlessly, securely, and instantly across different platforms. 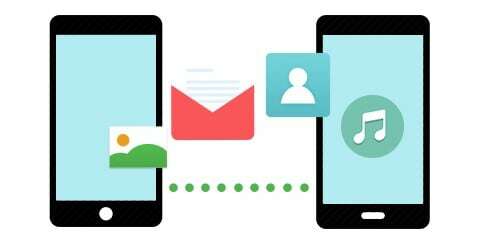 Phoneswappr assists in transferring your entire contact list uncorrupted from one mobile device to another even if they are operating on different platforms. You no longer have to worry about sign ups, logins, and sync cables. The app works flawlessly because it sends your contacts to the cloud from your old phone. You can then install the app on your new device and get the contacts from the cloud irrespective of the mobile operating system. The transferring process happens instantly with data in the encrypted format. 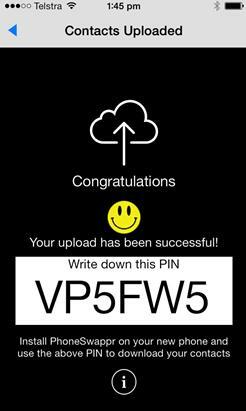 As the data transfers in an encrypted format, there is a complete security of the content that you are sending over to the new device over the air using the application. Additionally, the app deletes the record present in the cloud after seven days of completing the transfer. It ensures that there is no data left behind. Moves the contacts to the cloud to access them on any device. In-app purchasing for download of contacts. Quite expensive for saving contacts to the cloud. Developed by Samsung, the Smart Switch Mobile gives you the opportunity to move the contacts, photos, music, text messages, device settings, and move from an existing device to another handset irrespective of the mobile platform. It is also capable of scanning the contents as well as the contacts present in the device and the SD card. The user-friendly interface gives easy access to the application and helps the user transfer their contacts to a new device in simple steps. It supports a majority of the Android devices, iOS devices, and BlackBerry devices. The application is also capable of transferring the data through wireless connectivity. You can even transfer the contacts from iCloud and iTunes backups. The options provided within the application is a feast for those who wish to move large content from their old device to the new one. Capable of sending the data over wireless connectivity. It freezes on certain devices. The transferring rate differs from one device to another. 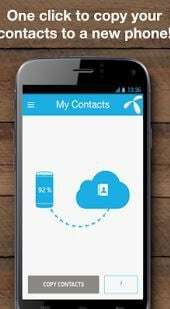 My Contacts gives you the freedom to transfer the contact list from your present device to a new handset with ease. Additionally, it is capable of holding the contacts in a secure and safe manner, so that the user can download the same during requirement if they ever lose or switch a mobile device. The application is available for different mobile systems, making it easy for a user to change irrespective of the mobile platform. 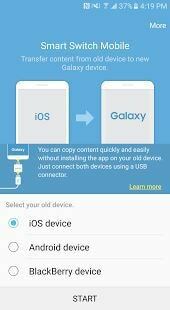 After downloading the app, users can copy the contacts within the application, which it stores safely and securely. To transfer the apps, all they have to do is download the application on the new device and download the uploaded contact list. It is further possible to update the contact list by visiting the website of the application. It is also providing the opportunity for old phone users to transfer the contact list using the contacts web tool available on its website for free of charge. It will be a great feature for those who are shifting a smartphone from a conventional device. A few devices face connectivity issues. 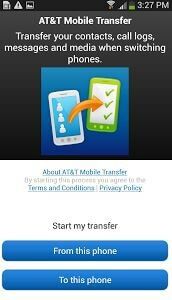 AT & T Mobile Transfer aims at easing the transfer of contacts and other data from one phone to another in a few uncomplicated steps. The application is useful for all the AT & T subscribers. 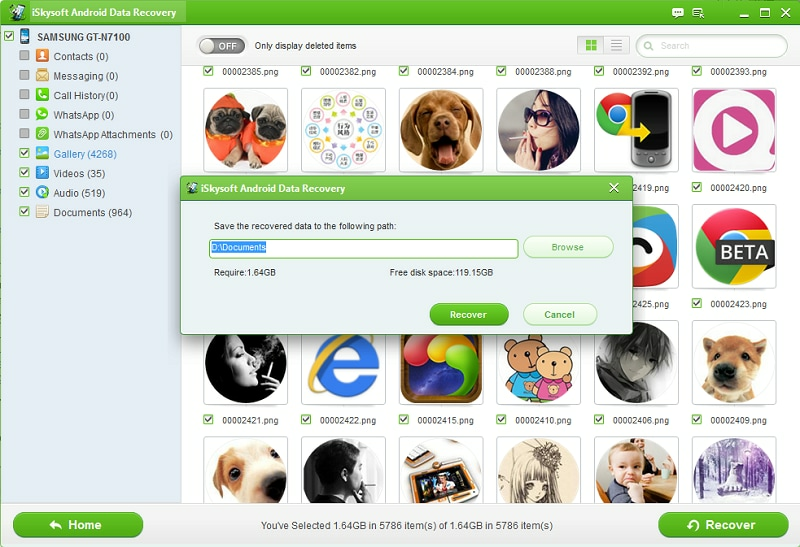 With the help of the application, it is possible to upload contacts and other data worth 2GB from an existing device. You can download the same amount of data on the new handset after downloading the app. Given a large amount of data transfer, AT & T suggests using the transferring process over a Wi-Fi connection. Nevertheless, it is viable to carry out the process over a 3G/4G connection. The speed of the transfer depends on the network connectivity. Therefore, it is preferable for users to possess a real connection. The application supports all the latest devices and operating systems. Therefore, you can easily begin the transfer process of your contacts from one mobile OS to another without worrying about the compatibility. All you need to do is follow the prompts appearing on the screen to transfer the data from your existing device to the new gadget. Fast set up across multiple devices. Can slow down the transferring process while using 3G/4G. Samsung is leading the mobile sales with new models releasing almost every month. With the help of the software, users can easily and in the most convenient manner transfer their data from an old phone to a new one. The application gives an excellent opportunity for all those who wish to move content and then erase the same permanently. With the guidance of the software, users can transfer contacts, videos, photos, and much more. 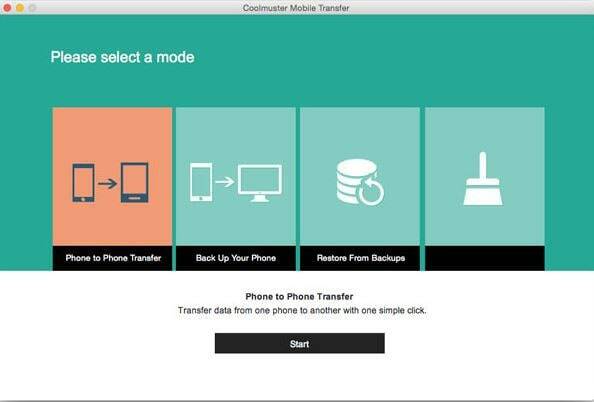 The software provides the transferring process in four different methods – phone to phone mode, backup phone, restoring from backups and erasing old phones. 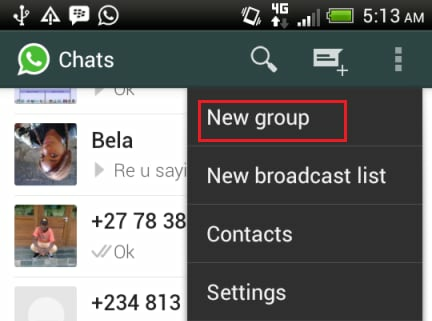 With Samsung Messages Backup you can transfer files that are readable and recognizable. It avoids the transfer of corrupted files, ensuring that the new device is free from unwanted files that could cause personal information leakage. Transfers data between two different operating systems. Allows you to create backup of the data on a computer. You can restore a new device with content from an existing backup. You can erase your old phone permanently. It is a read-only application. Conclusion: With the help of the applications as discussed above, transferring contacts and other data from your old device is no longer a tedious process. 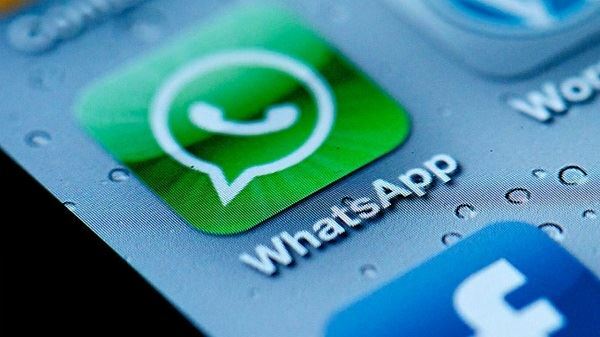 You can directly download the preferred app on the both devices and begin the transferring process of the contacts over Wi-Fi or use 3G/4G connectivity. Make use of the apps that ease your pain in transferring data, especially contacts when you purchase a new phone. You can forget about worrying about the loss of data using a transfer app.